Raja Easa Al Gurg is one of those Dubai business figures that needs no introduction. Having started her career as a schoolteacher, she now leads family business Easa Saleh Al Gurg Group as managing director with a CV that would make most global executives envious. Her other positions include president of Dubai Business Women Council, vice chairperson of the Dubai Healthcare City Authority and board roles at Dubai Chamber Of Commerce and Industry (DCCI), Dubai Women’s Association, HSBC Middle East, Coutts and various UAE universities. No surprise then that when it came to launching her own autobiography the UAE government sent one of its top officials. “Dr Raja Al Gurg has a great story to tell and she tells it in a compelling fashion. Her story is in many ways the story of the United Arab Emirates,” said minister of tolerance Sheikh Nahayan Mabarak Al Nahayan. 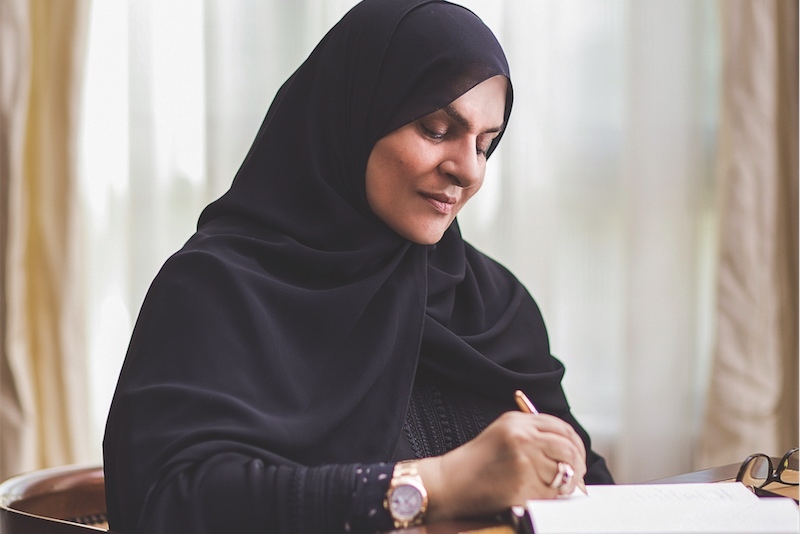 Gulf Business secured a slot in the Emirati businesswoman’s packed schedule to discuss her surprising career path, new opportunities for Emirati women, the family business and what advice she would give to the next generation. What made you want to tell your story? You mentioned in the book you didn’t always want to get into business, what changed your mind? What are some of the key lessons you would like people to take from your career? The UAE government has recently announced plans for 50 per cent of the seats at the Federal National Council to be occupied by Emirati women and a series of policies to increase female representation in the judiciary, diplomacy and business. Has there been a better time to be a woman in this country? In some other countries there is legislation mandating half of company board members need to be female. Would you support a similar move in the UAE? “Well we are on boards, I myself sit on two boards of international banks, HSBC and Coutts, besides the boards of three universities. I support women wherever they have potential and can contribute. Moving on to the family business, how has 2018 been for Easa Saleh Al Gurg Group? Speaking of 2020 and Dubai’s hosting of the World Expo, do you see opportunities around the event for the company? Does the company have any expansion plans for its different units? You mentioned previously how you are on the boards of banks and universities while also helping to lead your own company and the Dubai Business Women Council. Is it difficult juggling all those responsibilities? Is it different working with members of your family rather than just work colleagues? What advice would you give to young women considering a move into business? “I want the younger generation to take their part in society. The future of the United Arab Emirates depends on the dedication of the youth because this country has given them a lot. We have to give back whether we are young or old. It’s also important not to forget young people can take a lot of experience in work and society from the older generation so they can keep the momentum up.